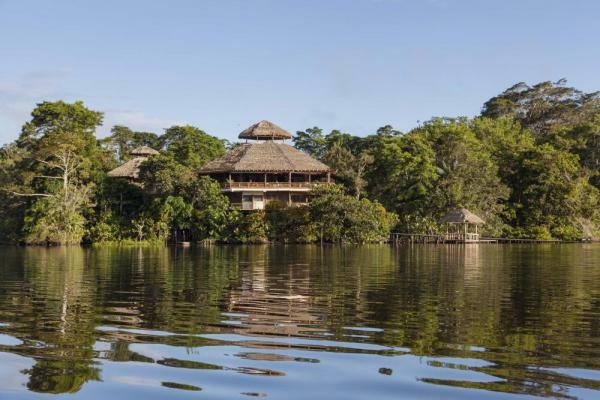 Get up close and personal with nature on this 7-day adventure to La Selva Lodge in the Ecuadorian Amazon. With no shortage of activities to choose from, this tour has something for everyone! Enjoy hiking, canoeing, swimming, fishing, wildlife watching, and much more. Naturalist guides are available to accompany you on daily excursions and provide a plethora of interesting information and facts about the local flora and fauna. A short flight takes you over the high Andes and down to the Amazon frontier town of Puerto Francisco de Orellana (called Coca by the locals). From here you travel by motorized canoe downriver for two hours on the Napo River before arriving to La Selva -- your home for the next few nights and base for an incredible Amazon travel adventure! Discuss the many options for excursions during your visit with the naturalist guides and set out an itinerary based on your interests. 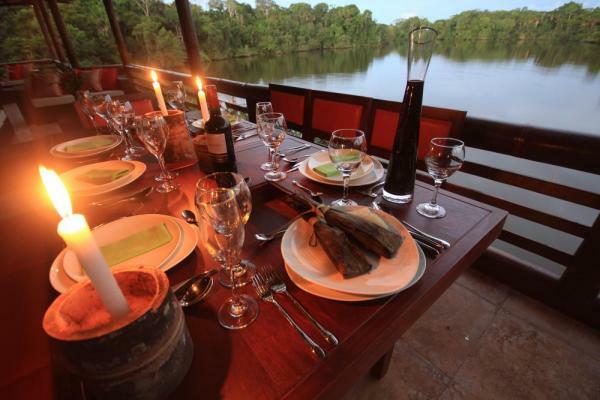 La Selva Eco Lodge brings you as close to nature as possible. 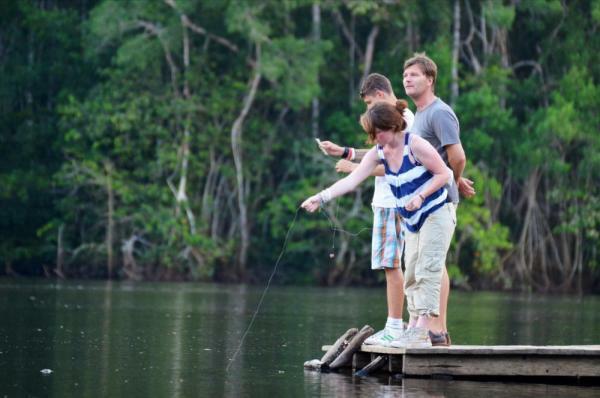 You will find a lake (great for fishing, canoeing, and swimming), wildlife (birds, monkeys, turtles, caiman, owls, etc. ), virgin rainforest, an observation tower, a butterfly farm, rivers and much more! Guided excursions are customized to fit your interests and are led by native and naturalist guides who accompany you on your day and night adventures. 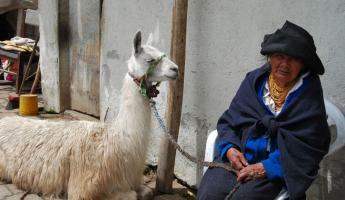 Walk to a local community to see traditional village life. Go out with your guides for birding and wildlife viewing. Every night, after dinner, guides lead canoe or walking trips to view nocturnal animals such as caiman, monkeys, insects and owls. Hiking the Matapalo Trail: This trail was given the Spanish name of the famous Strangler fig (Ficus sp), one of many remarkable trees that you can find on this short walk. Mahogany trees over 400 years old can be seen and your guides will share their knowledge of the flora and fauna. Due to the time of day there is a great natural light and the diurnal and nocturnal animals are beginning their daily transitional activities. Nocturnal Walk: On a night walk you have the chance to enjoy the creatures and sounds of the Amazon Jungle at night. Sometimes you can see amazing things during this activity. Make sure that you bring a flashlight for this fantastic experience. Night Canoe Ride: With the help of a spot light your guides will take you around the lagoon via canoe looking for nighttime wildlife. This is also a great opportunity for star gazing! 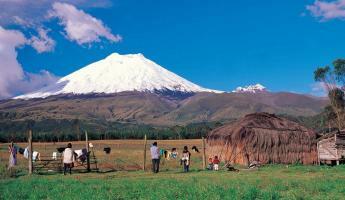 Charapa Trail: This trail goes on for about an hour beginning at the lodge and ending by the edge of the lagoon. It is a great loop where different mammal, monkeys and birds can be seen that come close to the lagoon at this time looking for food. 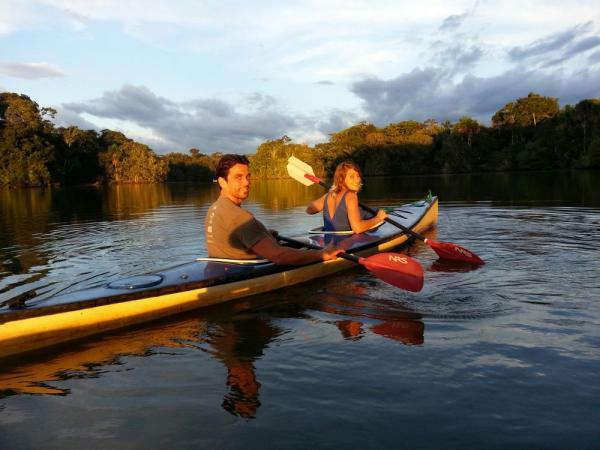 It is also perfect for witnessing an Amazonian sunset from the water in a canoe. Observation Tower & Tucaneta Trail: After a 20 minute walk the observation tower comes into sight. This amazing construction will allow you to climb 120 ft above the forest. 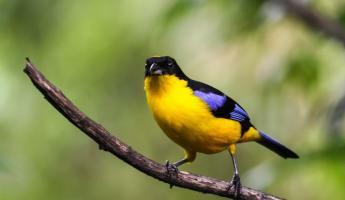 Your Naturalist and Native guides will help you spot the colorful birds of the Amazon, maybe even certain primates. On the way back from the tower there is the option of taking the Tucaneta Trail where your Native Guide can show you some of the medicinal plants still in use today and your Naturalist Guide will provide you with interesting info on the ecology and natural history of the Amazon. Parrot Clay Lick & Mandi Wasi: Make your way back to the Napo River and take a motorized canoe ride to the clay licks, one of the most fascinating displays of the wild world. Hundreds of parrots and parakeets gather here to eat the mineral rich soil, an important part of their diet. Binoculars are essential to really capture the moment. After the clay licks they will take you to experience their Cultural Activity. An Amazonian Kichua woman will welcome you at their community center to share their life of the Kichua's in the Amazon. This is special because it is part of the Amazon you do not find on the maps and provides the special and unique opportunity to really get to learn more about the people of the Amazon. 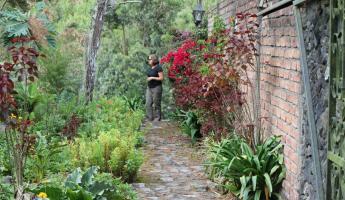 Coto Trail: This is a fantastic walk that takes off from the lodge to the edge of the Garzacocha Lagoon. In the afternoon the light from the sun will come from behind most of the time, making this walk an amazing experience and the perfect opportunity to enjoy the beauty of this amazing forest. Groups of black-mantled tamarin monkeys can be spotted on this walk and some of the groups have even seen tapirs too. 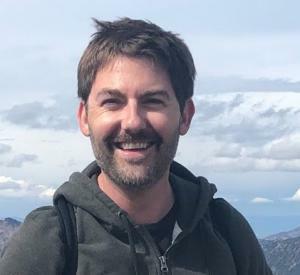 Your Naturalist Guide is going to explain all about the different creatures that can be found and your Native Guide is going to explain all about the different creatures that can be found and show you some of the medical plants that they have been using for thousands of years. 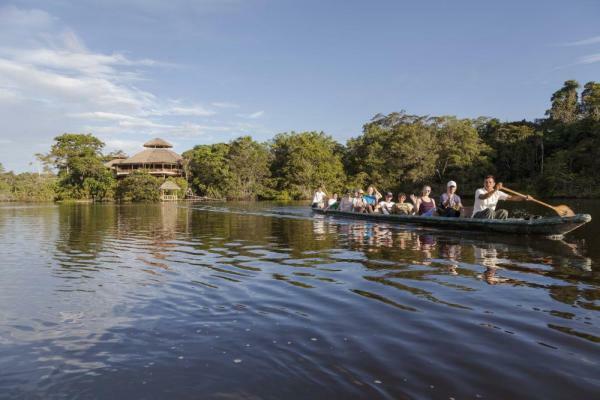 A canoe ride back to the lodge makes a great ending for this activity. 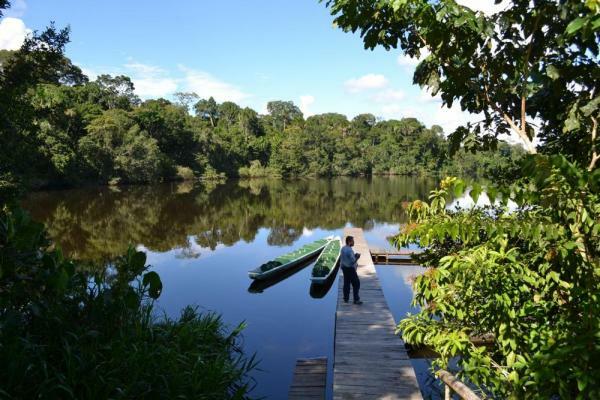 Garzacocha Lagoon and Ceiba Trail: This lagoon is on e of the most beautiful in all the Ecuadorian Amazon. During this trip you have higher chances of spotting different species of monkeys and birds. 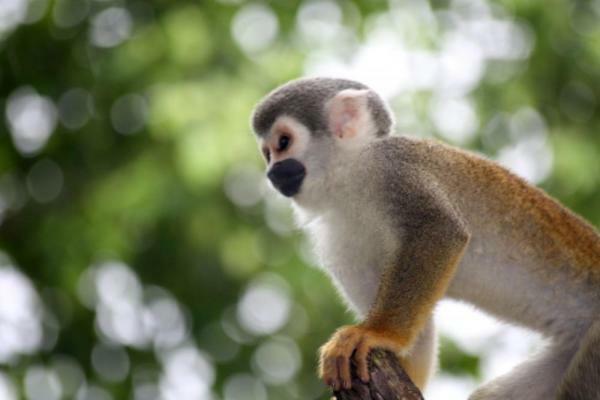 Sometimes huge groups of squirrel monkeys join families of capuchin monkeys to look for food. Howler monkeys also like to spend the late afternoon around the lagoon and you can hear their tremendous calls echoing on the lake. You may even see the famous pimy armoset, which is the smallest monkey in the world. At La Selva there are seven primate species that can be seen. More wildlife that can be seen include the Hoatzin, a famous bird with a very strange appearance and adaptations, toucans, macaws, and many other species of birds.